Kyle Reyes, chief diversity officer for Utah Valley University, said he wished that members of the Utah State Legislature — standing on the steps behind him — could be as diverse as the collection of several hundred middle school and junior high students gathered in front of him. Kyle Reyes speaks to gathered students at Multicultural Youth Leadership Day at the Utah State Capitol, Tuesday, Feb. 16, 2016. Reyes and other state and education leaders met Feb. 16, 2016, at the Utah State Capitol to speak to about 300 students for Multicultural Youth Leadership Day. In addition to Reyes, other speakers included Utah Gov. Gary R. Herbert and state legislators. A local spoken word group, Truth Cypher, gave a performance, as did a youth step troupe from the True Vine Baptist Church. Speaking to the gathered youth, Gov. Herbert supported his state for having a long history of diversity and inclusion. Utah Gov. Gary Herbert speaks to assembled youth at Multicultural Youth Leadership Day at the Utah State Capitol, Tuesday, Feb. 16, 2016. Claudia Nakano, director of the Office of Multicultural Affairs, shared Gov. Herbert’s statement, and added that the state continues to be diverse. Youth came from as far as Ogden and Payson to attend the summit. Students listened to the program for about an hour and 20 minutes, which was followed by lunch and tours of the Capitol. Students from across the state listen to speakers at the leadership day, Tuesday, Feb. 16, 2016. The day at the Capitol is part of a greater initiative by the Office of Multicultural Affairs to involve diverse youth from around the state to become more involved civically. The office also organizes and holds a Multicultural Youth Summit every October, which hosted 2,000 students in October of 2015. The aim of the state-run department is to aid the state in making better outreach efforts to promote civic engagement and cultural diversity in government across the state. The summit is part of these efforts. The summit, Nakano said, was designed in part by Gov. Herbert’s “66 by 2020” initiative. The project, according to the governor’s website, sets the bar of having 66 percent of Utah’s working-age population with a postsecondary degree or certificate by the year 2020. “We want to help raise that graduation rate, and now with our changing demographic, we are becoming more diverse, not only in Utah but across the nation,” Nakano said. Not all sentiments are positive on Utah’s outlook. Nakano conceded that the current makeup of state legislators needs to be more ethnically diverse, which would help support more diversity initiatives and better legislation on equality. Although no statistics are available on the ethnic makeup of the current legislative body, the vast majority are white male. Kyle Reyes, UVU’s chief diversity officer, echoed these feelings, adding that higher education administrators from around the state are collaborating on diversity reform. But, he said state legislation still needs to be impacted. Youth from the True Vine Baptist Church perform at the Capitol, Tuesday, Feb. 16, 2016. In the coming years, the Office of Multicultural Affairs will plan additional youth leadership summits and events across the state. Nakano said a smaller summit in addition to the large one in October 2015 was held in Ogden, which hosted 300 children. Smaller summits are anticipated in other cities in Utah, such as St. George, Cedar City and Vernal. The 2016 legislative session added an additional $30,000 in funding for the summit. Awareness is the first step toward acceptance. One of the most important ways to help homeless youth of the LGBT (lesbian, gay, bisexual and transgender) community is through awareness and this is one of the top priorities among LGBT centers in Salt Lake City. The Utah Pride Center has a youth activities program called TINT (Tolerant Intelligent Network of Teens), which is a vital part of the center. It provides a safe haven for youth ages 14 to 20 — regardless of race, gender or sexual orientation. 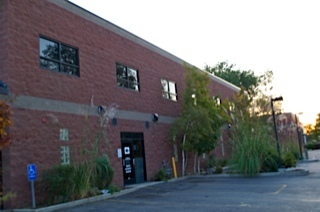 The TINT center is part of the Utah Pride Center and is located in the Marmalade district of downtown Salt Lake City. “We see a high level of family rejection at TINT, if they were accepted it wouldn’t be such a big issue,” said Danielle Watters, director of community support and wellness services at the Utah Pride Center. Youth can stop in to chat with the volunteers or fellow young people during the designated drop-in times. The open times are typically from 2 to 3 p.m. on weekdays and 6 to 8 p.m. on Saturdays. The TINT program stresses that it is not just a gay group for youth — the main goal is to give kids a safe place to hang out. Along with a pool table, a library and video games, TINT offers support groups for youth who are in need of someone who will just listen. Jaaycob Okumura sought help two years ago from TINT when he was coming out as gay. “The TINT [center] has helped me by giving me a safe space to grow and learn who I am,” Okumura said in an email. He is now the coordinator for the Queer and Straight Alliance at the Utah Pride Center. Watters said a young member of the LGBT community can become homeless in several different ways. Family rejection is the most prevalent type; the next most common form is when LGBT students move here for various reasons and have nowhere else to turn after their funds fall short. Social acceptance also plays a big role in homelessness. Watters said some youth are fired from their jobs because they are LGBT. Then they have trouble getting a new one. Soup isn’t the only thing the TINT center dishes up. The program serves an educational meeting every Saturday to educate LGBT youth on HIV. The program is called Rise! and its goal is to end HIV in the community. It has a commitment to inspire queer youth to make a change, with the idea in mind that HIV impacts everyone. According to the Rise! website, it takes an effort from all to make the ending of HIV a reality. Equality Utah continues to work on implementing laws and informing Utahns in order to reach a point where LGBT members are recognized as a part of the community. “It’s a top priority to gain visibility and awareness,” Balken said. Equality Utah strives for change and bringing to light the problem of having unequal policy. Equality Utah has a petition on its website that people can sign. The petition will abolish the law that protects employers from firing a person for being LGBT or being uncomfortable with an employee’s sexual orientation. Equality Utah and the Pride Center are both striving for LGBT equal rights and fair treatment for all people. Another non-discriminative resource for youth is the Homeless Youth Resource Center in Salt Lake City. It is run by the Volunteers of America organization. The center, located at 655 S. State St., also has a drop-in time when youth can stop in for basic needs such as showering and doing laundry. Last year, 1,047 youth were helped through the programs offered there. The programs include street outreach, drop-in center and a transition home. Through all of these different resources, youth have a chance to feel safe, know they are not alone and talk to someone who has experience. 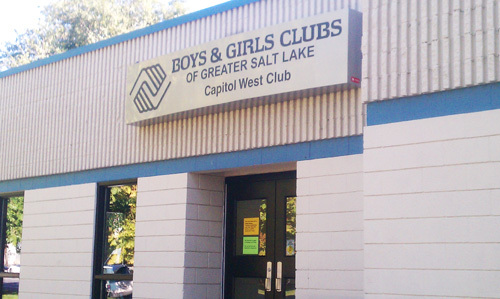 The Capitol West Boys and Girls Club helps boys and girls in its community become productive and caring citizens in a fun and easy-going atmosphere. Located in Rose Park, youth of all ages are invited to spend their time doing various activities so that they can feel in a safe place. At the Capitol West Club, located at 567 W. 300 North, Teen Center Director Jessica Hill organizes activities, supervises staff and helps out with recreational games. Activities such as basketball tournaments or billiards are held at the club. “We go on a lot of field trips too; we’ve gone river rafting. I’ve taken them camping and bowling up at the University of Utah,” Hill said. Hill explained a lot of their programs are based off of drug prevention. A big goal of the club is educating teens on life skills and how to make the right decision in certain situations. One of the strongest assets the Boys and Girls Club provides is its formula for impact, which consists of Five Core Program Areas. Hill said those five areas are character and leadership development, education and career development, health and life skills, sports and the arts. These areas are offered to meet the needs of all types of kids who come in and out of the club. These areas can help kids reach their full potential. “We really just want to focus on healthy lifestyles and academic success. We obviously want them to become educated so that they can have a good lifestyle and good future and contribute to society,” Hill said. Although the boys and girls are learning things such as life skills and receiving help with academics, it isn’t a school. “We’re making learning a fun thing to do. We want them to come here because they’re having fun,” she said. Hill said the club is extremely diverse in ethnicity and age; 50 percent of the club is made up of teens (ages 12-18) while the other 50 percent is made up of children younger than age 12. “We’re located in a very tight-knit community, so we have a lot of African refugees, along with a lot of Hispanic kids, a lot of Polynesian kids; pretty much kids from all of the world,” Hill said. Javier Argueta is 13 years old and has been coming to the Capitol West Club since he was 6 years old. Argueta said he first went because he didn’t have much to do after school and heard about it from his friends in his class. He decided to stay at the club because he loved the people. “I like the staff because they always talk to me if I ever have problems. This is my second house because I’m always here,” Argueta said. Kids such as Javier Argueta became members after hanging around the club for a few days. Hill explained that by offering membership to kids they can feel a sense of belonging, something anyone wants in life. Membership entails simply having the child’s name documented and knowing a familiar face. Hill explained at the club kids and staff have been able to make close relationships with one another, creating a high level of trust. Kids know they can confide in staff; people are there to help them out with anything, whether it be homework or emotional stress.